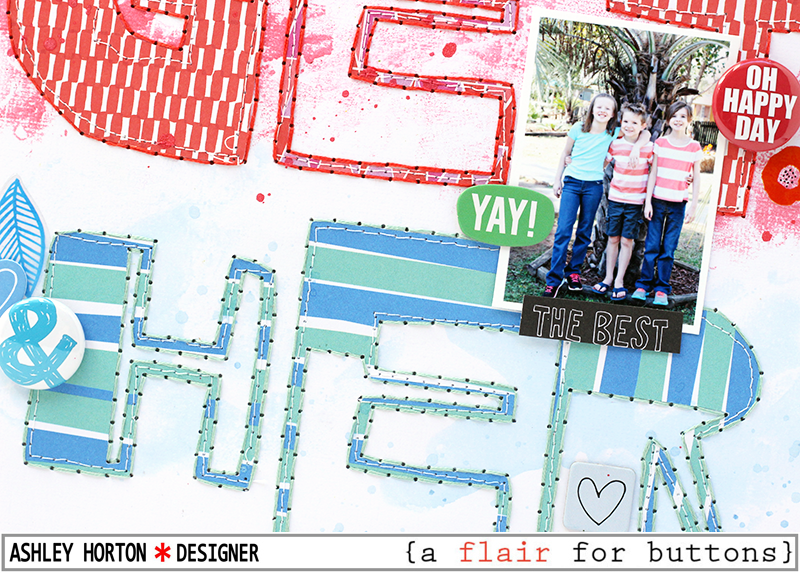 I'm stopping in today, to share a layout that went up on the A Flair for Buttons Blog yesterday! 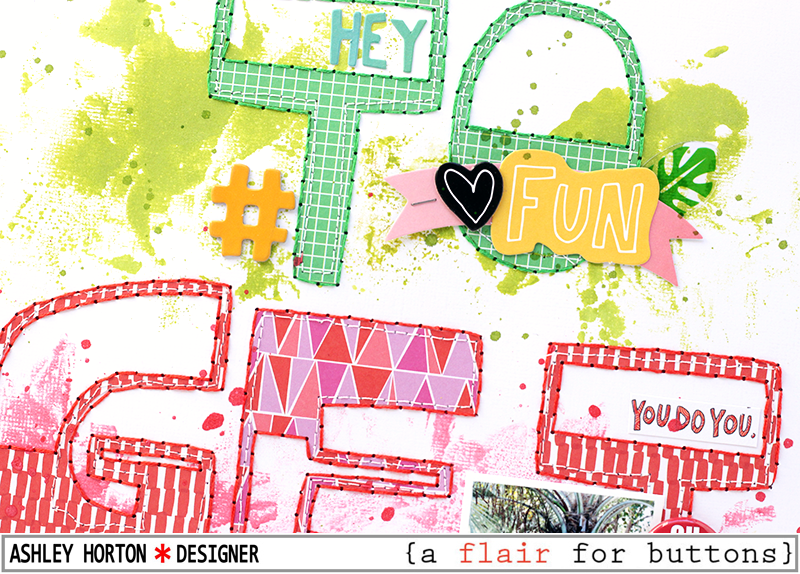 I thought I would work a little bit of Mixed Media into this layout, using a few spray mists. I chose a couple of Flair Buttons from the AFFB Shop that would coordinate with the new Amy Tangerine On a Whim collection and the spray mist colors that I wanted to work with. I started the layout with a large alpha die cut for the title and added my spray mist colors where they would coordinate with the patterned papers for each part of the title. I also hand stitch around each of the letters in the title for extra texture. I used both of my Flair Buttons to create small embellishment clusters on two of the letters in the title. I decided to keep the rest of my embellishing very simple, so I wouldn't cover the large title and Mixed Media. 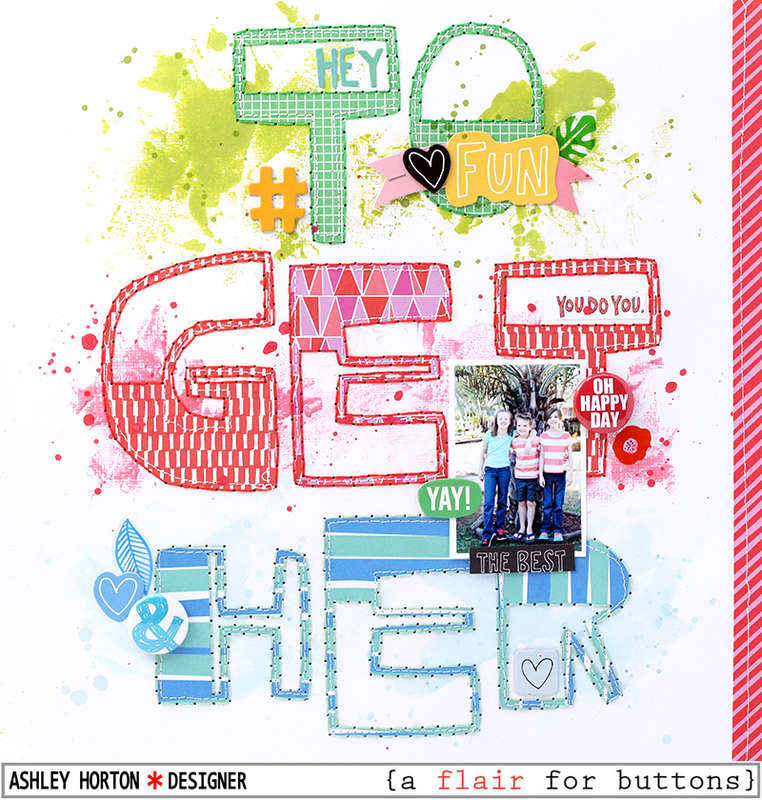 I had so much color going on with the patterned papers and Flair Buttons, the layout didn't really need a lot of embellishing. I have a Process Video to go along with the layout, if you would like to see how everything came together. You can watch it here, and head over to my YouTube channel to Subscribe! Thanks for stopping by, and make sure you check out the shop and pick up some flair for your next layout!